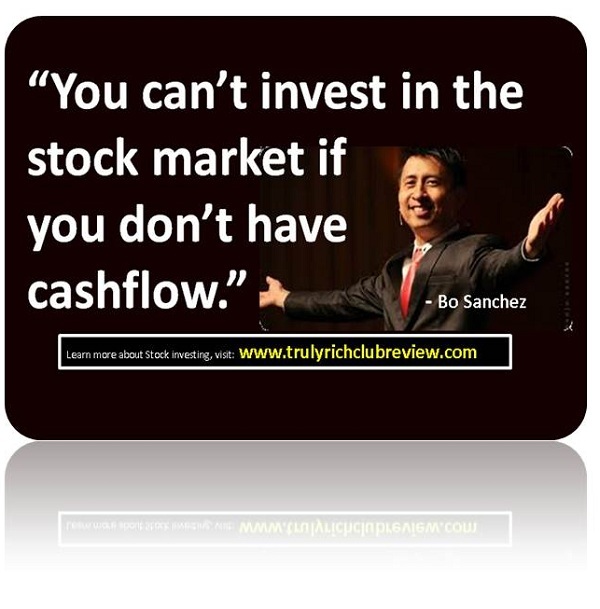 Hey, I received this simple but very profound stocks investing advice from Bro Bo Sanchez, founder of the Truly Rich Club membership site. Please read below. After giving a talk on stock market investing, a participant (who probably came in late and didn’t hear my entire talk) came up to me and asked, “Bo, my bank is offering me a personal loan of 0.9 percent monthly interest. Questions like this make my toes curl. You can’t invest in the stock market if you don’t have cashflow. Every month, you have a steady income stream that pours money into your lap. That income stream could be your job or business. If you don’t have cashflow, you can’t invest in the stock market. Period. Spend 99 percent of your time (creativity, energy, attention) on your business. And then spend 1 percent of your time on investing that cashflow on the stock market. 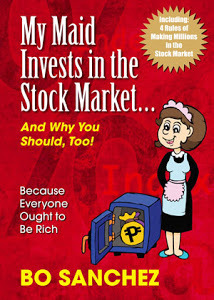 Do you want to be guided on how to invest in the Philippines Stock Market the right way? Join the Truly Rich Club.